Design and construction professionals earn AIA® Continuing Education learning units by attending one of our courses administered by an approved proctor. LEED® professionals earn Green Business Certification Institute’s (GBCI®) continuing education hours to fulfill LEED® credential maintenance requirements by attending one of our courses administered by an approved proctor. Outdoor porcelain pavers produce an ideal solution for any outdoor space. Traditional outdoor porcelain tiles required installation on an adhesive or a mortar/cement base. With new, two centimeter porcelain tiles, the tiles can also be "dry installed" on a grass or sand/gravel base, or on support pedestals. Porcelain pavers combine beauty and high performance to provide an effective solution for endless outdoor applications. 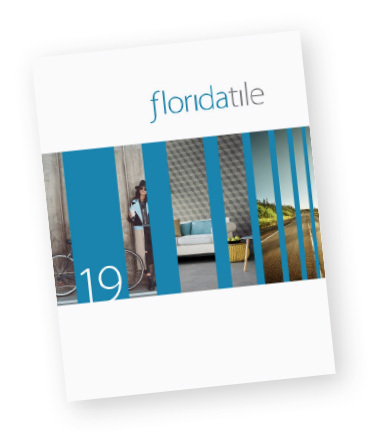 The durability, ease of install, and pleasing aesthetics make porcelain pavers an ideal solution. With their ability to withstand extreme thermal conditions, they are ideal for both commercial and residential spaces. This course will provide an overview of outdoor porcelain pavers, discussing the wide variety of features and benefits, as well as the installation process and various applications where outdoor pavers can be used to great effect. Please note that this course can only be administered by an approved proctor. This manufacturing tour will help you better understand how tile is made. The tour will not be talking about any certain brand or design. It will be an informational tour that will give you an overview of a typical tile manufacturing plant. As sustainability has become an important consideration to consumers and architects who are designing for better environmental stewardship, green building programs have emerged to certify which buildings meet specific sustainable design goals. Materials used in these buildings are an important part of sustainable design as they can contribute to good indoor air quality and energy efficiency. The focus on tile in this presentation clarifies the many ways that this product can contribute to a green building certification in such programs as USGBC LEED®, NAHB® Green Building Standard, and the IgCC®’s International Green Construction Code. The design professional will also learn about the ANSI® (138.1) Green Squared® standard for defining a green tile – a standard developed by the North American Tile Council with the input of designers, architects, green professionals, end users and manufacturers. Along with a review of the latest sustainable manufacturing practices, this presentation illustrates how the selection of tile as a green material is an easy choice for design professionals.